If you just got an Insta360 One X (reviewed here) and want to know how to edit 360 videos on Adobe Premiere, then this tutorial is for you. In this tutorial, you’ll learn the most efficient workflow for the Insta360 One X, from transferring your files to your hard drive, to stitching to editing. 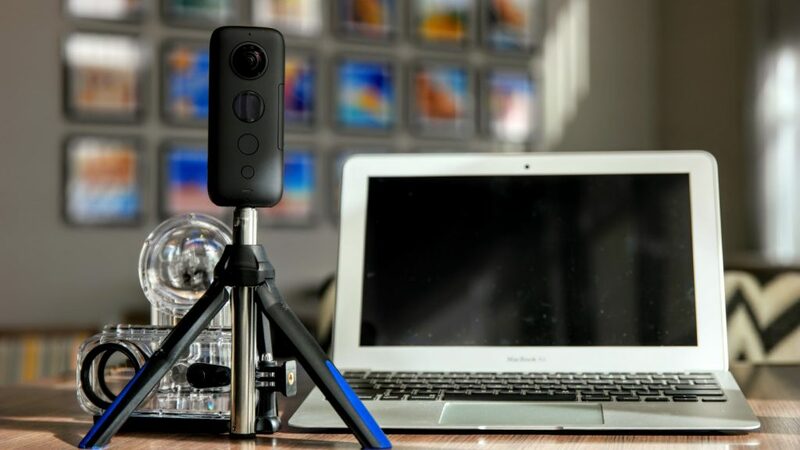 You’ll also learn how to edit without stitching videos using Insta360’s exclusive no-stitch workflow for Premiere (which works not just for the One X, but for any Insta360 camera). To learn about the advantages and disadvantages of the no-stitch workflow, see the main article here. I’ve been working with the One X importer plug-in for Premiere Pro and attempting to use the no-stitch workflow. It has problems. After you import a clip, if you right click on it in the project window and select “Source Settings…”, a dialog box will come up that gives you some options, including the option to select Venture Case or Dive Case (or no case) (so you might want to update your video, which claims there is no option for this). It also has an option to disable Flowstate stabilization. However, the behavior is unreliable if you don’t use the default options. These options mysteriously reset themselves as you are working with your video. Even if everything looks right while editing, when you export, the options may change back to the default settings, or the importer may crash. Videos composed of only one clip may be a little less frustrating. You should watch the output window during export to be sure you are getting what you want. And as you mention, there is currently no option to enable stabilization with Direction Lock, which is really too bad, as that’s an important feature of the camera. Partial good news – in the latest release of Insta360 Studio 2019 (version 3.3.2, Build at March 14, 2019 20:55:20), the importer plug-in for Premiere Pro now has a “Lock Direction” option when you use “Source Settings…”. The default settings are: “Lock Direction” is off, “Flowstate” is on, and “Stitching” is set to “Normal” (i.e. no case – you can also select the Venture or Dive cases). You have to set these options for each clip individually. It’s still unreliable – once set for a clip, it can mysteriously become cleared while you are editing your video, even though you haven’t gone back into “Source Settings…” to make changes. Moreover, even if you set these options immediately before export, the options reset to their default states when you export if you queue the job to Adobe Media Encoder. What worked for me is to first get all my editing done, then turn on “Lock Direction” for every clip one-by-one, then click on the Program window once to select it, then File > Export > Media, set up my export settings, and click the “Export” button rather than the “Queue” button. This exports directly from Premiere Pro without using the Media Encoder, and when you do this, the individual clip Source Settings are in effect during the export. The downside is that you then can’t use Premiere Pro to edit another video while the first one is being exported. Since my videos usually take several hours to export, I can’t get anything else done with Premiere Pro for a long time, which is unfortunate. Thank you very much Victor! Great news! I will check it out!